Pavlova with Blood Orange Curd and White Chocolate Whipping Cream for 2. The ultimate date night or Valentine’s Dessert. Pavlova. Who? What? Rest easy. 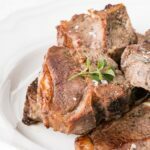 It’s a very simple recipe with a Russian name, which is actually sort of confusing because it’s apparently from New Zealand. Any who. Pavlova is similar to meringue, but it’s soft and marshmallow-y on the interior, unlike crunchy throughout meringues. Traditionally topped with whipped cream and kiwis (see the origin there?) 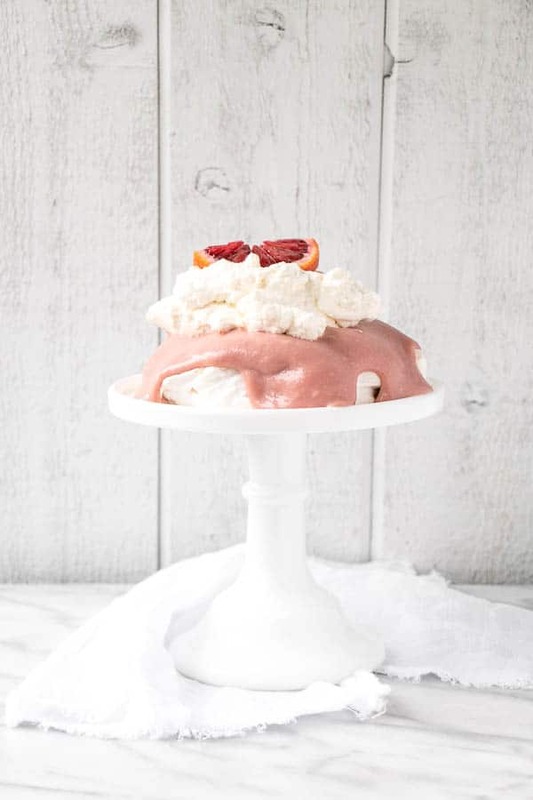 I wanted to take Pavlova and make it into an accessible dessert for 2 for date night or Valentine’s Day (it can easily be doubled to serve 4-6). 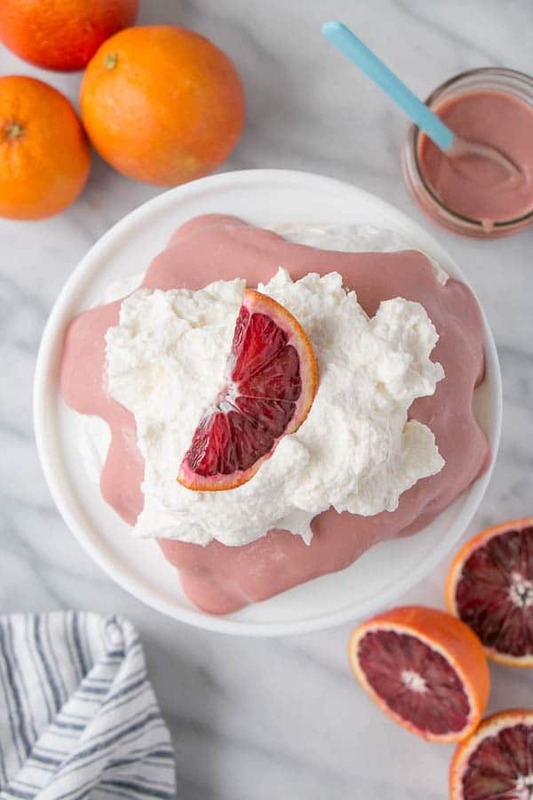 The result was this Blood Orange Pavlova with White Chocolate Whipped Cream. Light, soft interior with sweet/tart blood orange curd and white chocolate whip is a perfect way to end any meal. The first time I had Pavlova I was in about grade 10 at my friend’s place. Her mom is from New Zealand and she made this dessert in lieu of a birthday cake for my friend. Mind blown. I’d never had anything remotely like it before and I always hoped there’d be one for dessert whenever I swung by their place for dinner. This is my first time attempting it and although I had a serious trial and error session to get the measurements accurate for a small Pavlova, I’m very pleased with the result … light, airy Pavlova, blood orange curd with the perfect amount of tartness, and white chocolate whipped cream aka pillowy goodness. Valentine’s Day is not a big holiday for me. I’m not one for a big celebration. I spent my birthday on a snowy mountain pushing 3 kids around in a fully loaded double stroller. If that’s not a big day to celebrate, then what is? 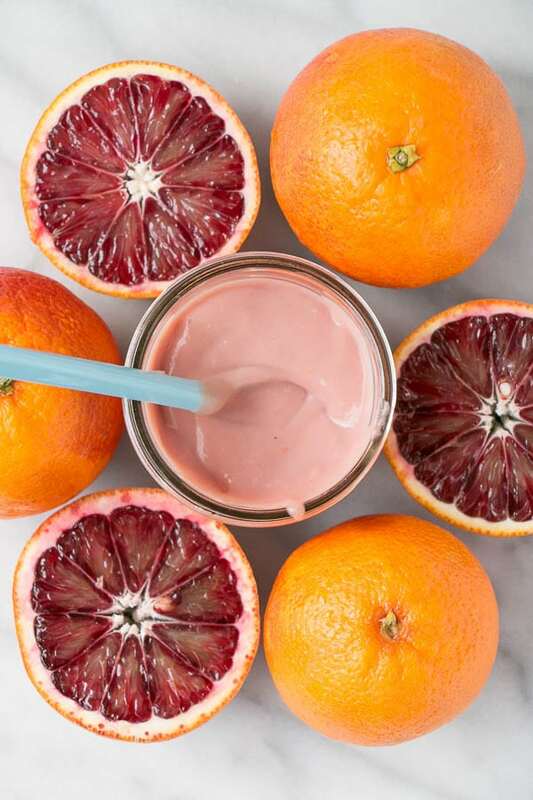 The blood orange curd is a recipe straight from The Kitchn. Use their recipe (and have leftovers for yogurt, ice cream, waffles, etc.) or grab a jar of store-bought. No one else will know the difference and I promise not to tell ;). 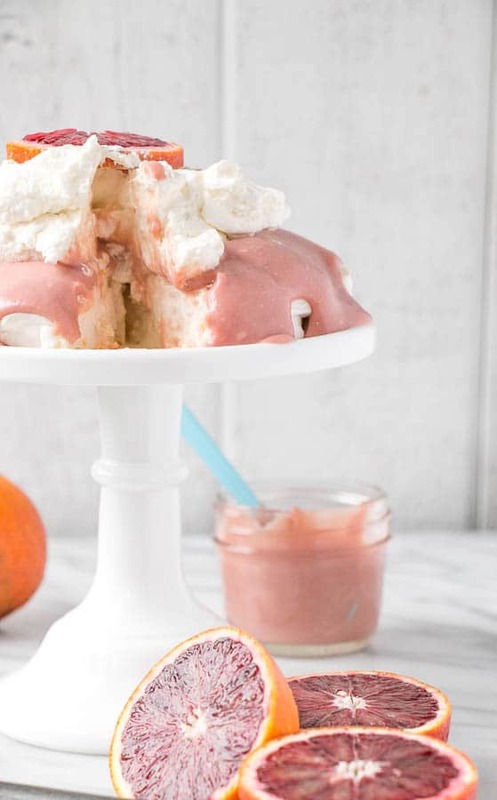 Any citrus will work for this Pavlova. 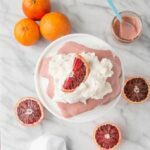 I love the colour and the just sweet enough flavour that comes from using blood oranges, but lemon or (OMG!) 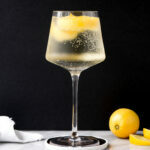 Meyer Lemon would be outstanding here too. I took this Pavlova over to a friend’s house for a playdate for our babies (her daughter is the same age as baby Lucy) … because what else do you bring to your friend’s house (who has 1 child) and you have 3 kids that you know will mess up her house in record time? Well, yes I took wine as well 😉 Regardless, this Pavlova was gone in a flash. Be sure to add the whipped cream just before serving as I did all my photos for this post and this Pavlova sat in the fridge for about 90 minutes before we ate it. It still tasted amazing, but was completely lopsided post-travel. Have to have chocolate on Valentine’s Day? No judgement here! I have an extraordinary delicious recipe with some chocolate in it – Crème Brûlée Bars for 2. Pavlova with Blood Orange Curd and White Chocolate Whipping Cream. The ultimate date night or Valentine's Dessert. Preheat oven to 250° F and line a baking sheet with non-stick paper. 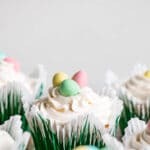 Using an electric whisk, mix egg whites until stiff peaks form. Gradually add 1 tbsp of fine sugar at a time, beating in each batch of sugar thoroughly until eggs become glossy and stiff peaks form. Sift cornstarch over beaten egg whites and add zest and vinegar. Fold until just combined (avoid over-folding and losing the air in the egg whites). Place in a mound about 3" high on lined baking sheet. Bake for 25-35 minutes, until exterior is starting to firm up and bottom has only the slightest amount of browning to it. Remove from oven and let completely cool on tray. Melt white chocolate in the microwave in short bursts, 20-30 seconds long. Stir until completely smooth and set aside to cool slightly. Whisk whipping cream and sugar together until stiff peaks form, about 2-3 minutes in a stand mixer. Add cooled melted chocolate and whisk briefly to combine. 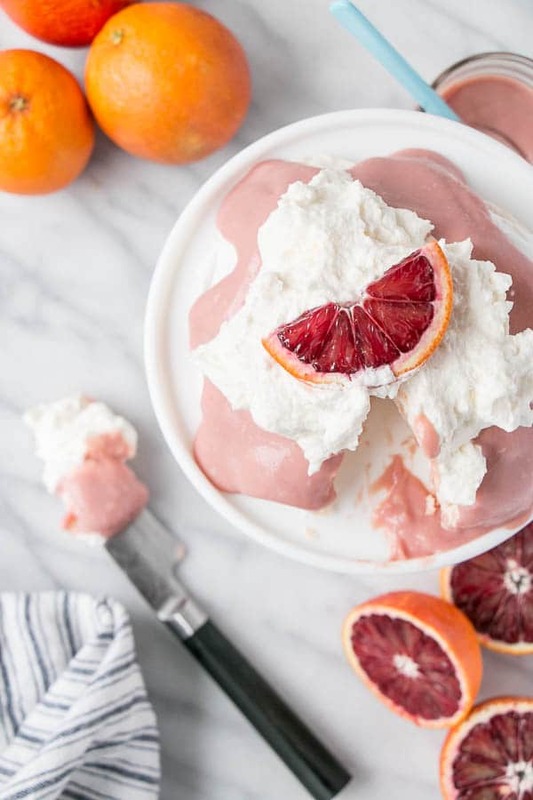 Top pavlova with blood orange curd and white chocolate whipped cream. Serve immediately. ** double recipe to make a pavlova that could serve 4 -6 people.